Migrants are arriving regularly now as the season progresses. 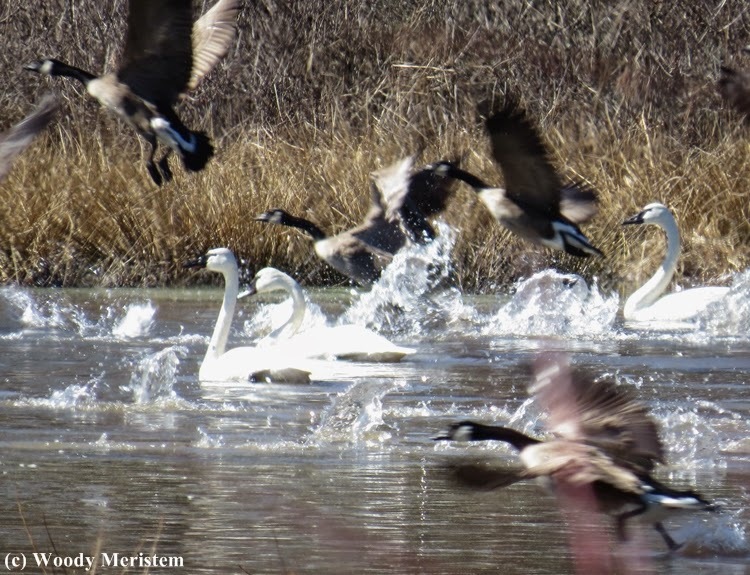 On a large pond there was a flock of Canada geese that numbered well over one hundred; but more interesting were the tundra swans, seven in number. 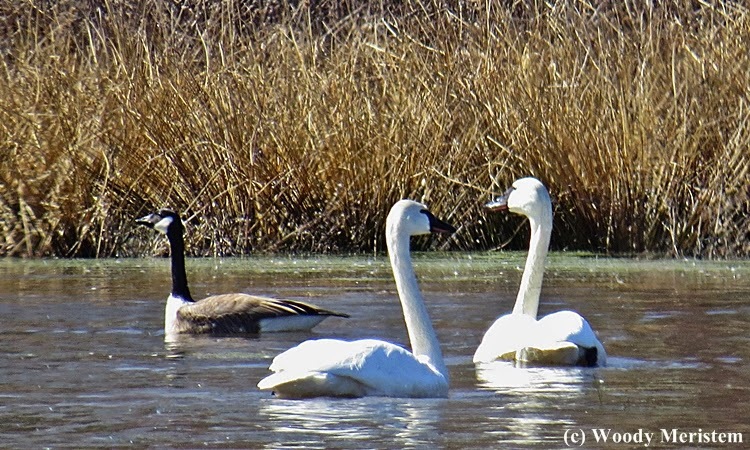 Back when I was a young naturalist (instead of an old naturalist) tundra swans were known as whistling swans and before that they were called American swans - and then there's the scientific name (Cygnus columbianus). Like many other birds their name has been changed over the years – they must be confused by the fickleness of the humans who name them. How lovely to see the swans! Nice shots. 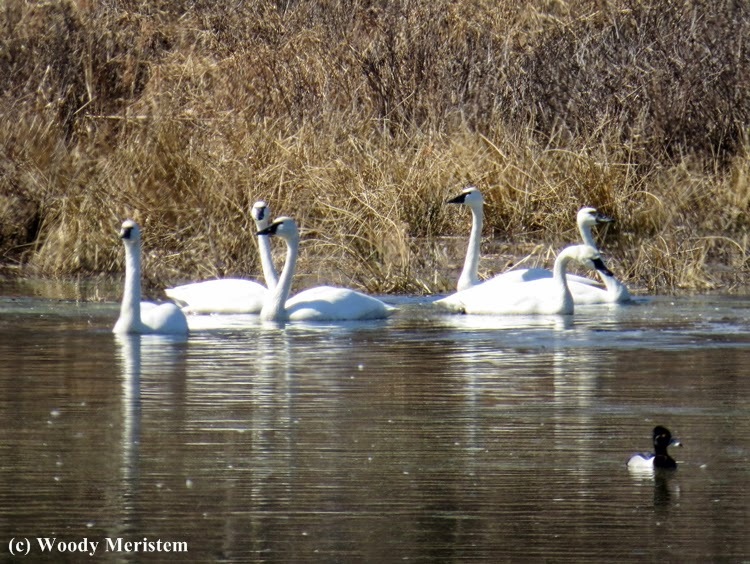 The swans are beautiful! Great sightings.. Thank you so much for sharing your post and linking up! Have a happy weekend! Swans are always lovely to see. Always a treat! So graceful, wonderful shots. Thanks for sharing, Woody!